In every agreement that you will immerse in, do not forget to have a written contract. 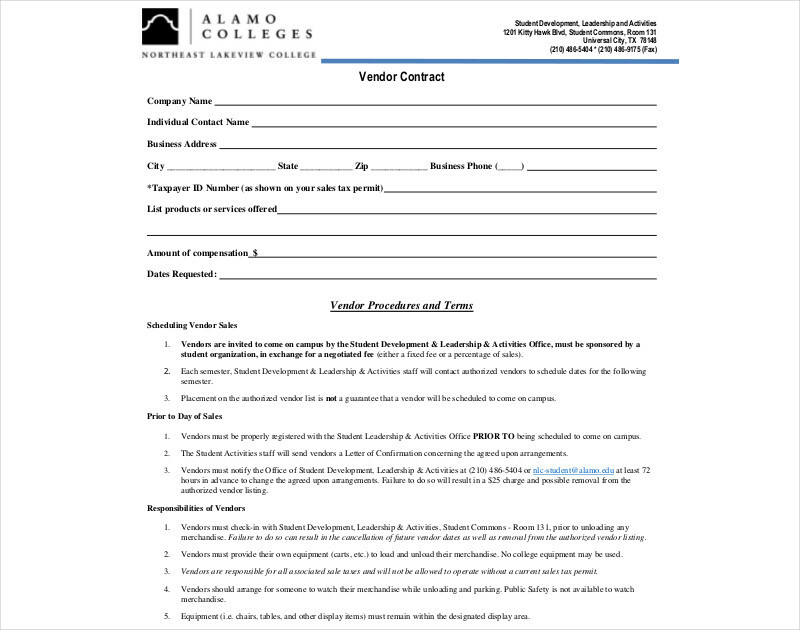 Just like an investment contract and a business contract, a vendor contracts should always be put into writing and signed by all entities to ensure its full effectiveness. 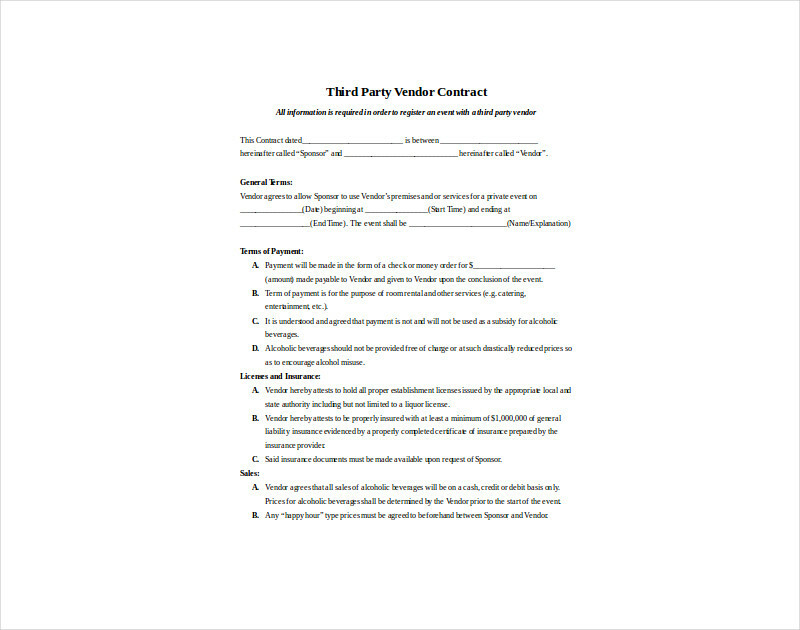 We have put together a list of vendor contract examples that can help you start making a vendor contract in the most efficient way possible. 1. 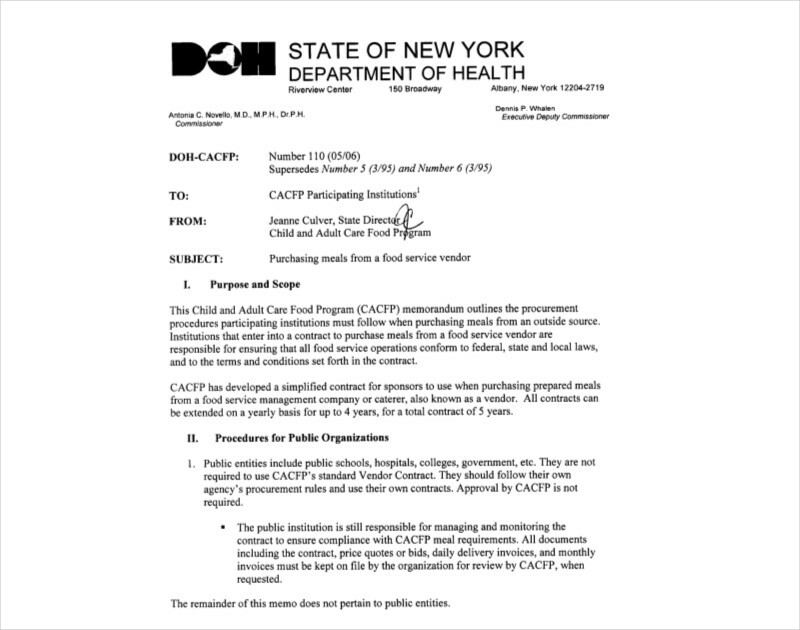 Properly assess the needs of the business when it comes to the acquisition of vendor services. 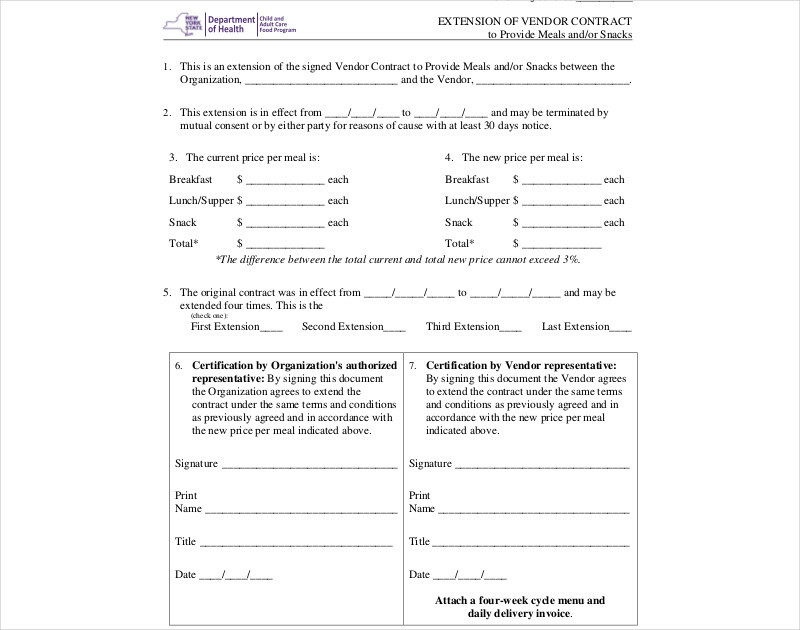 This can help you a more relevant and efficient vendor contract. 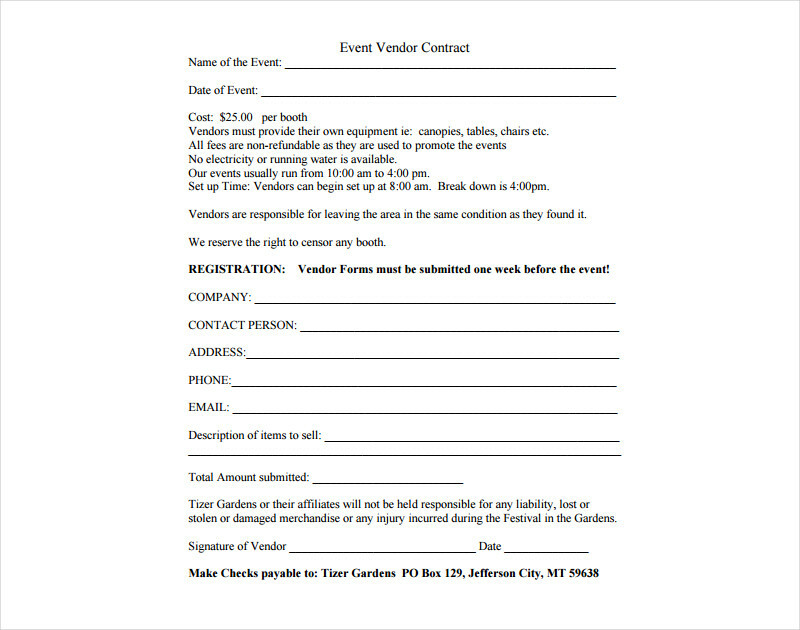 This can also be applicable when making an event contract and you need suppliers and vendors to make your plans be realized. 2. Set standards of vendor performance. Moreover, ensure that you will list down the responsibilities of the business especially in relation to the payment for the transaction. 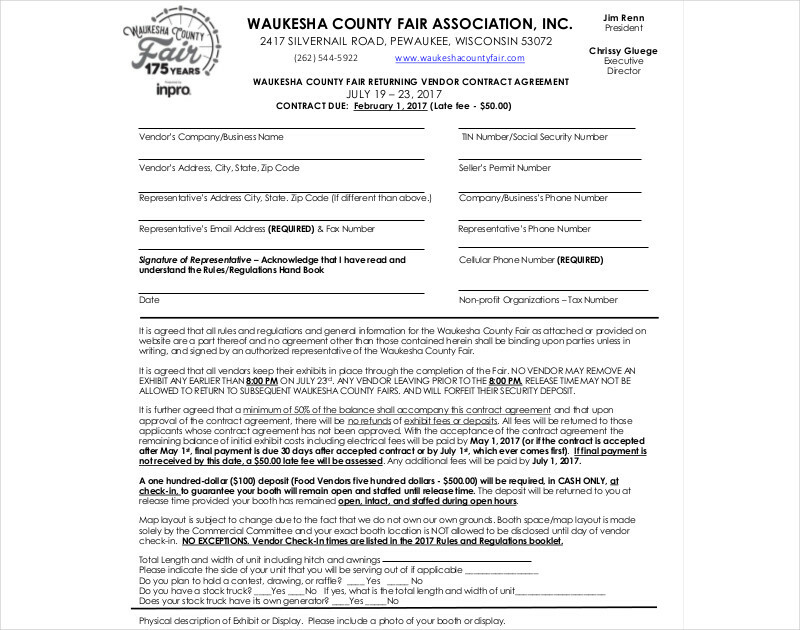 Credibility should very well be established through the help of this document.You may also see band contracts. 3. 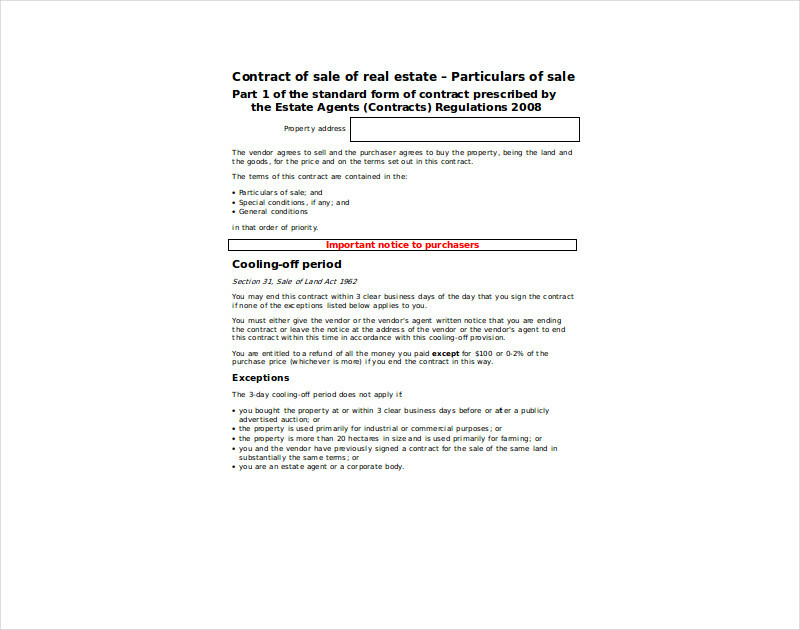 The name, location and other basic information of both the vendor and the business should be specified in the contract. 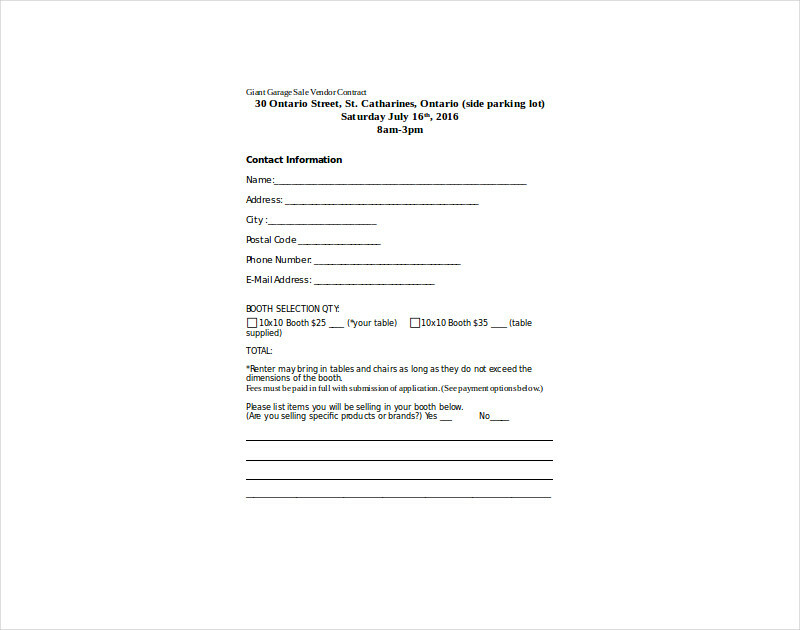 It is important for the complete and accurate details of the entities involved in the transaction to be included in the document.You may also see child care contracts. 3. 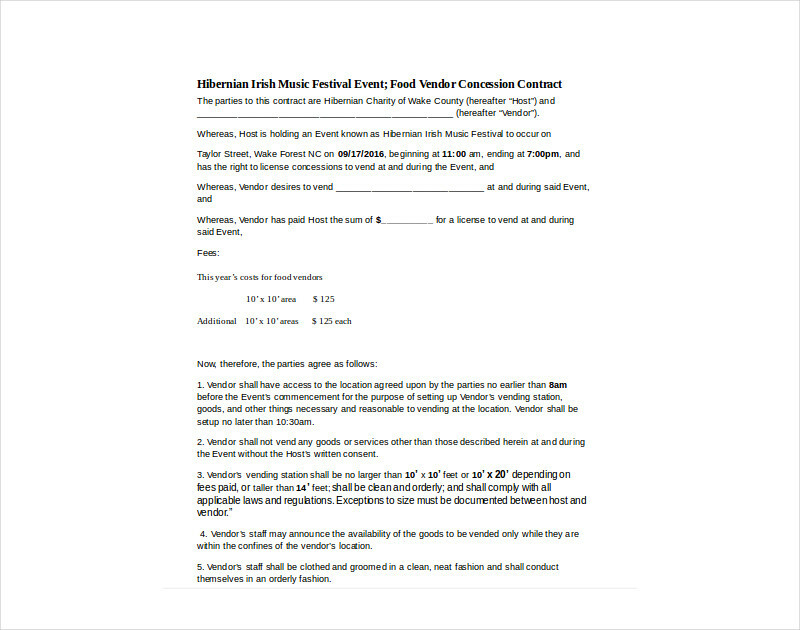 Be specific and detailed when it comes to the discussion of the terms of the vendor contract. 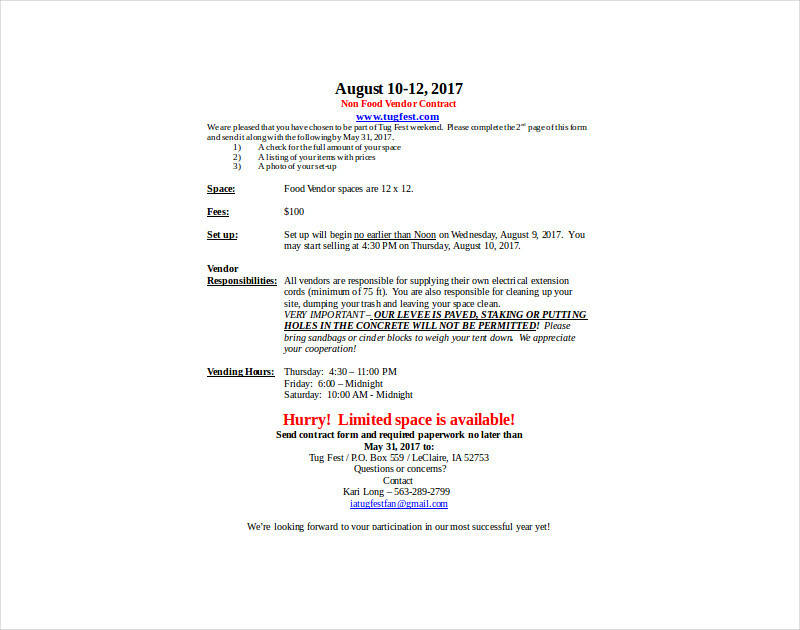 Your ability to provide clarity to the entire discussion can make the document more understandable and easily enforceable. 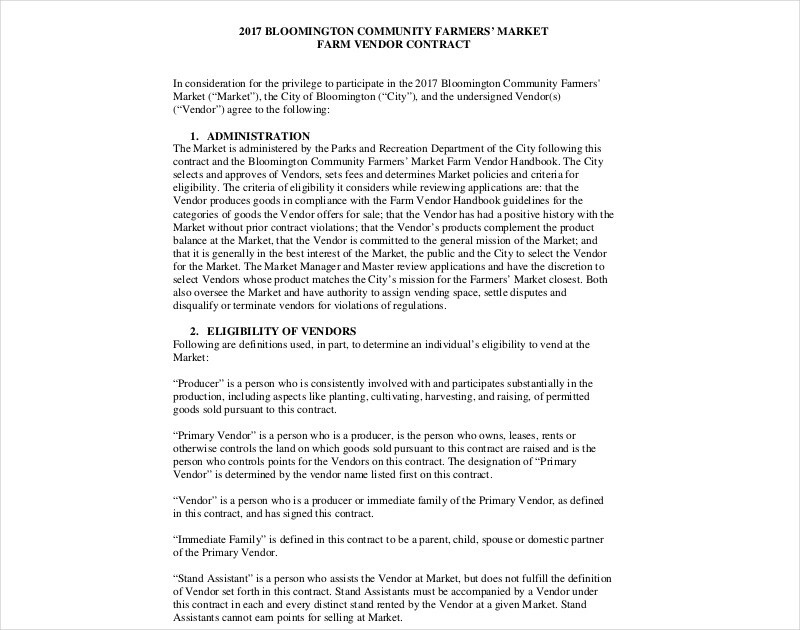 If you think that you still need help in making a vendor contract, do not hesitate to use the downloadable examples in this post as your references. 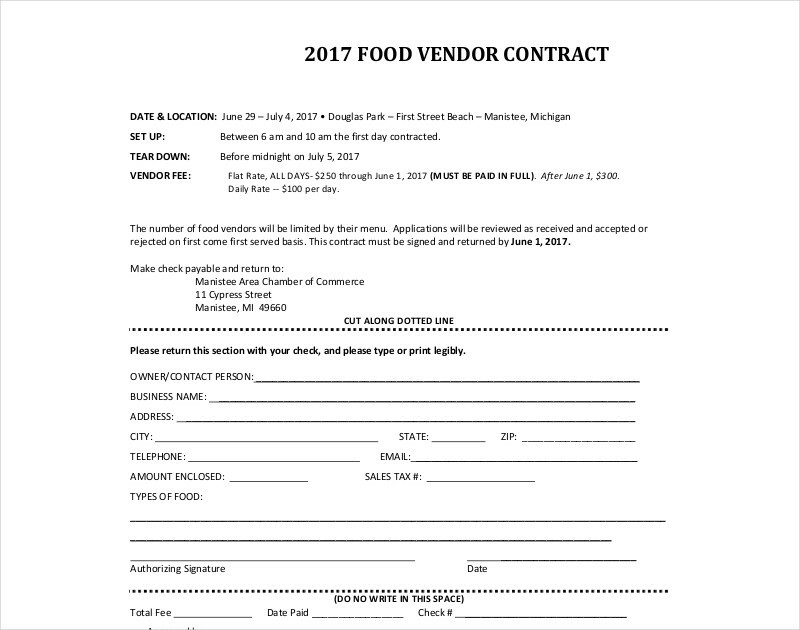 Make your own vendor contract now.